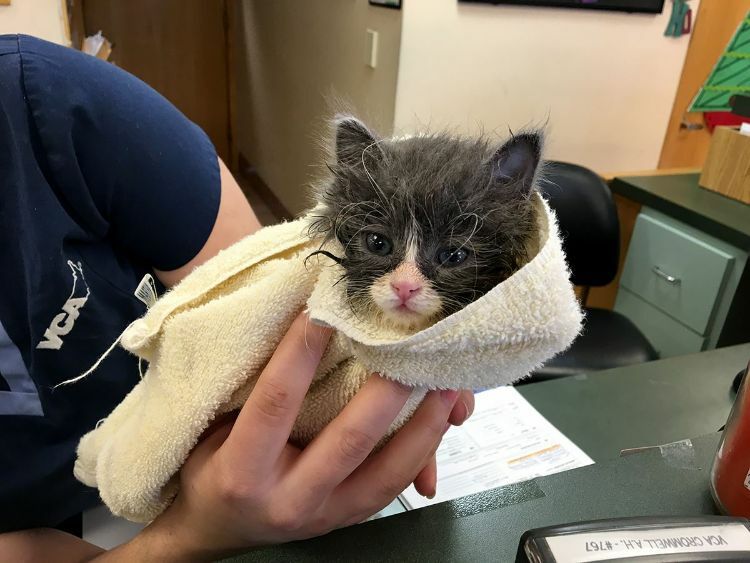 Pepino the kitten had a rough start in life. Rejected by his mother because of his medical issues, he was rushed to a veterinary clinic, placed on oxygen, and kept in intensive care. Pepino's outlook did not look good. 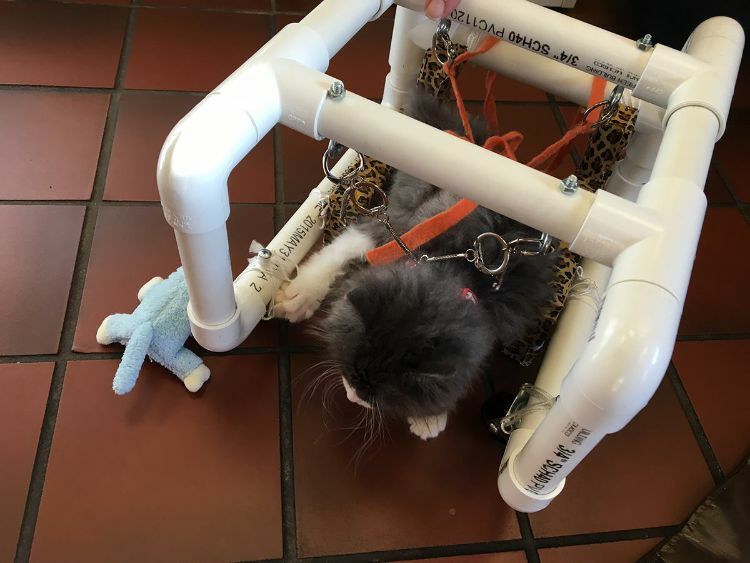 But nothing was going to slow down this determined feline — not even the disabilities that he developed. After hours in intensive care, Pepino came home with a staff member, who cared for him around the clock. For some time, the staff feared that they could lose Pepino. Eventually, Pepino was diagnosed with cerebellar hypoplasia (CH), a condition that affects motor skills. 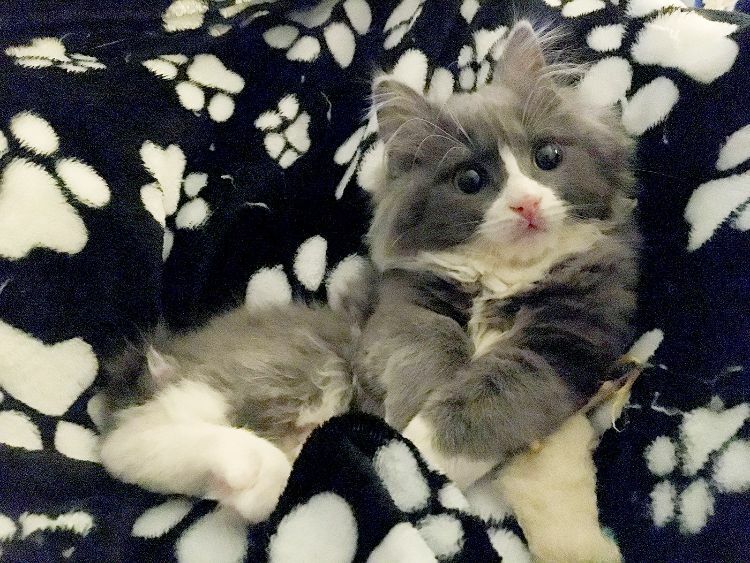 CH caused the kitten to wobble and fall each time he tried to stand. Pepino's diagnosis is severe, which means he will require lifetime assistance and physical therapy. 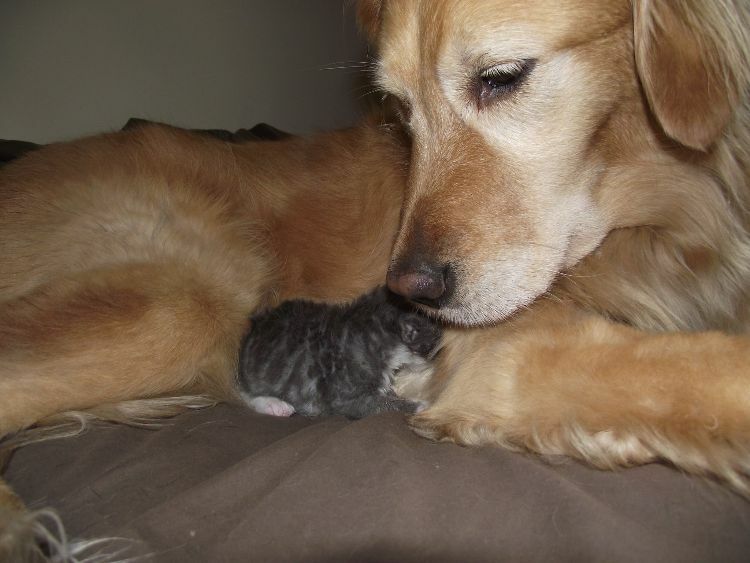 Despite this, the kitten wants to jump, run and play as any kitten does. 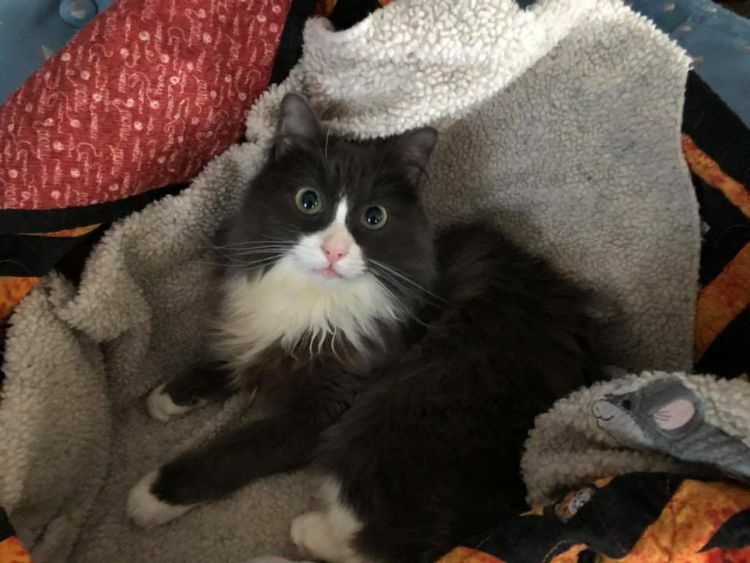 The clinic paired Pepino with a canine foster mom to help give Pepino some support as the little kitten learned to navigate his place in the world. 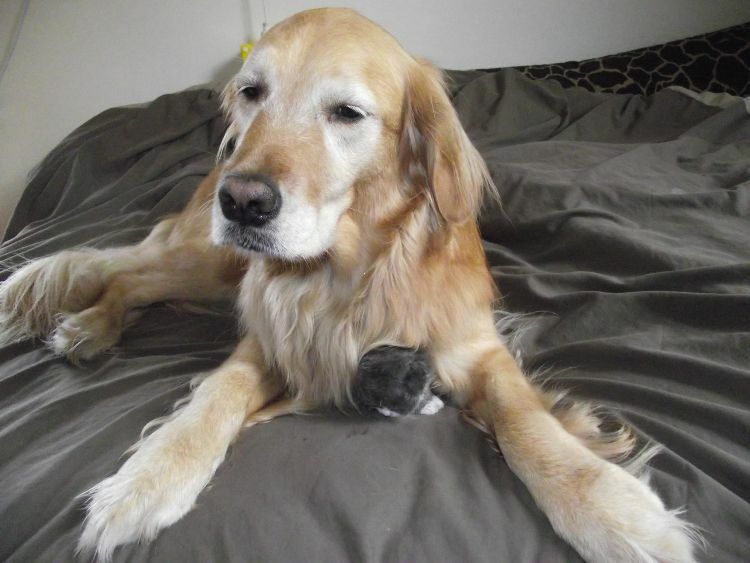 The golden retriever provided warmth and care to the orphaned kitten. With assistance from the canine foster, Pepino began to gain strength and develop some balance. Whenever Pepino's motor skills failed him, a loving dog waited to catch him as he fell. One day, Pepino was spotted by Carmelo, a man who came to the veterinarian clinic to volunteer for a food drive. Carmelo went home, researched CH, and decided that he wanted to give Pepino the best home and life possible. 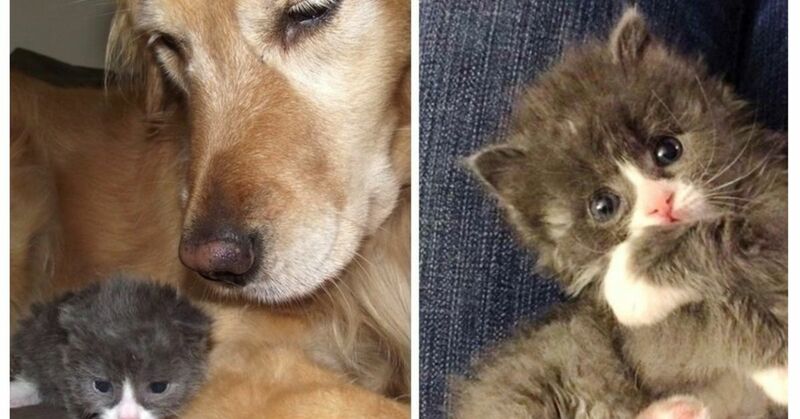 He adopted Pepino and brought him home to an environment specifically designed for a cat with CH. Pepino thrived and grew stronger. 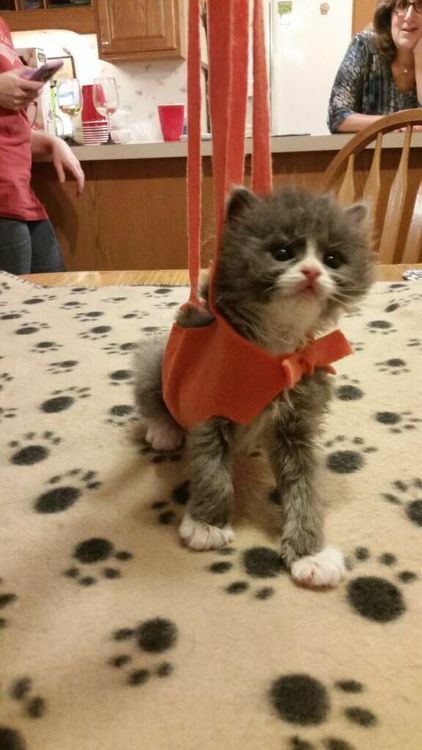 His balance improved a bit, and Carmelo now uses a specially made kitty sling to help Pepino stand up to eat. "The best thing is that Pepino has no idea he is 'different' than my other cats. He watches them and emulates them as much as he can," Carmelo said. 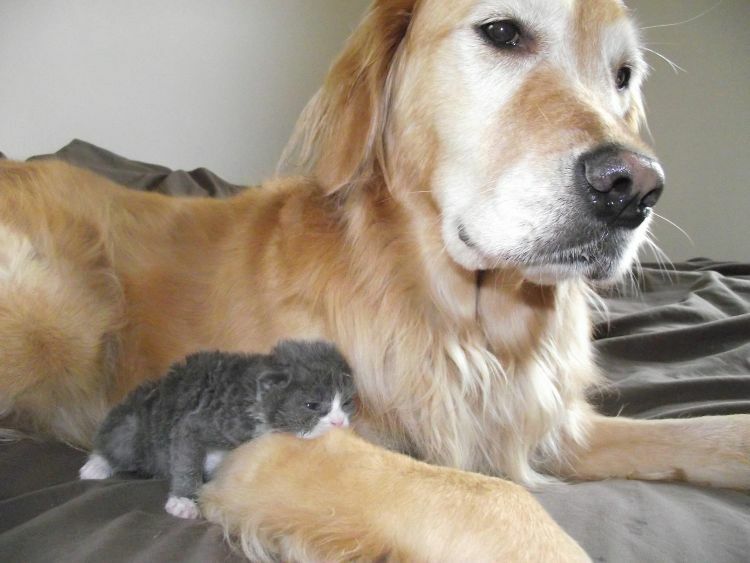 "He plays, wants to snuggle in the lap. He purrs when I pick him up and reaches out with his little paws when he sees me. He is a very happy little cat." "For me, the rewards far outweigh his special needs. It is a commitment I was ready to make and I haven't regretted for even a second since," Carmelo said. Thanks to the care of the clinic staff, the canine foster, and Carmelo, Pepino has all the backing he needs to live a full, happy life, no matter what! Follow Pepino's adventures on Facebook, and share his moving story.